Click the button below to add the Harley Softail Deluxe Batwing Fairing 134-0000 to your wish list. Paying homage to the rigid suspension look of the “hardtail” bikes of the 1960s and 1970s, the Harley-Davidson softail motorcycles deliver power and comfort without sacrificing attention to old school detail. Whether yours is a Softail Slim, Heritage, of Fatboy Deluxe, know that it was designed and built to pass the test of time. Just like the motorcycles for which they are created, our Stealth Batwing Fairings™ are synonymous with style and quality craftsmanship. Our detachable Harley softail fairings are no exception. Hand laid fiberglass sealed with a protective gelcoat create a hard body batwing fairing with sleek lines and simple curves. Lines and curves that pair perfectly with the iconic profile of Harley-Davidson softails. Detachable —yes, but you may never want to take them off. 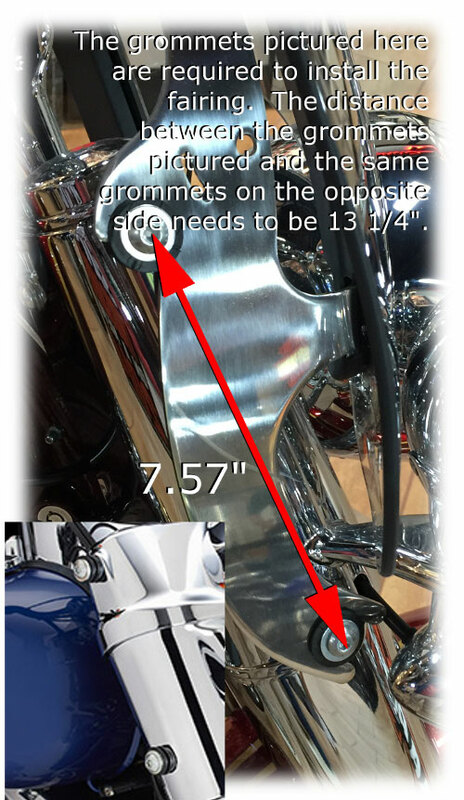 * If your motorcycle does not have the OEM windshield mounts as shown in the below photo, then there are numerous aftermarket options for Harley OEM windshield grommets. NOTE: Before placing your order, please measure your motorcycle to ensure that our fairings will fit your bike.